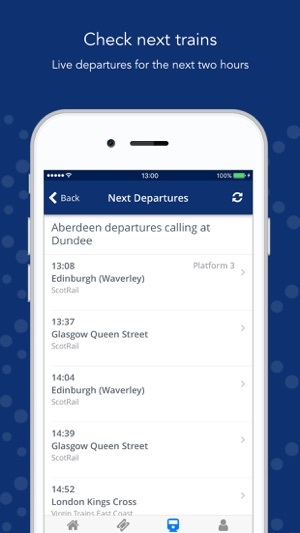 Stay up to date when you’re on the move. 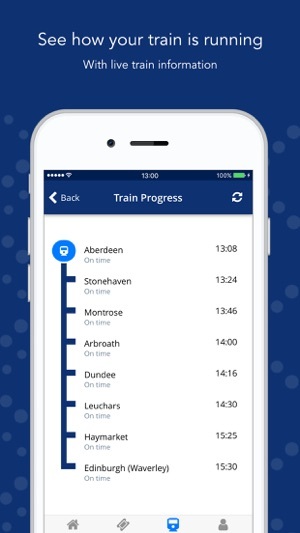 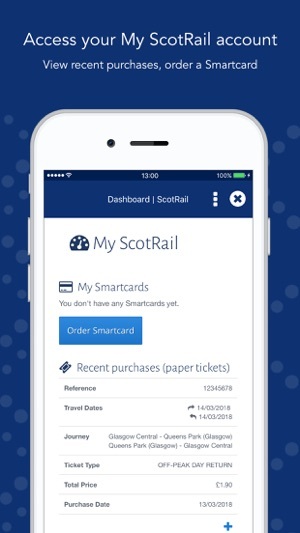 Get live journey updates and buy tickets on your phone with the ScotRail train times and tickets app. 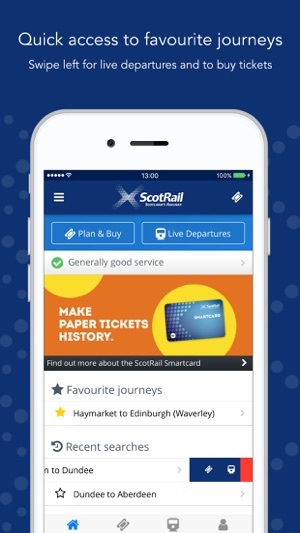 The app is free, with no booking charges or credit card fees for buying tickets. 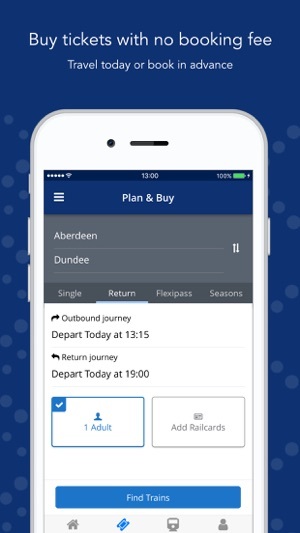 Download now to get started.